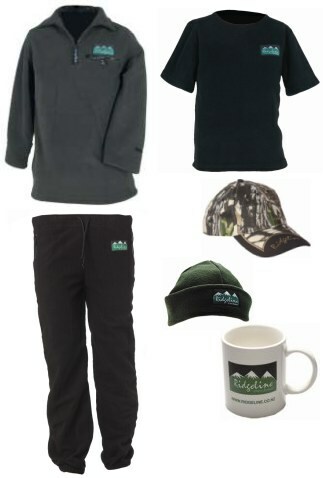 This feature loaded pack for little nippers comes with a Nippers Jacket, Tussock Trousers, Tumbleweed Tee, a Beanie, a Buffalo Camo Cap and a Ridgeline Mug for those hot milky milos on those cold winter days. 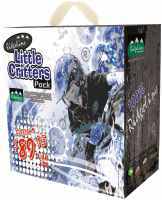 This value for money pack is ideal for our kids who are out there hunting, fishing, farming and enjoying the great outdoors. Freight Free within New Zealand! Sizes: Only size 4 years left! 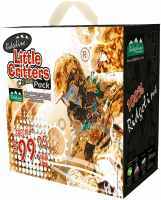 The Little Critters Packs offer great value for money and are ideal for our kids out there hunting, fishing, farming and enjoying the great outdoors. 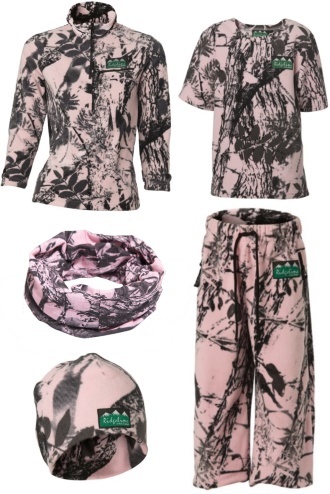 Many girls (and their mums) have been asking for their own version so, coupled with the Ridgeline team's influx of baby girls, it was time for the Pink Camo to make its debut! 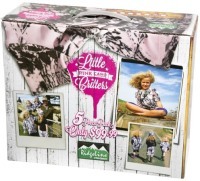 Cute and practical - go girls! Sizes: Only sizes from 6 - 14 years left! Fantastic value for you and your kids (the value for you is the $, the value for them is the cool look). 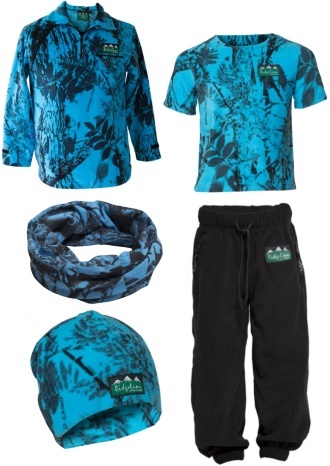 Our new Blue Little Critters Pack includes a Nippers Jacket, Tussock Trousers, Tumbleweed Tee, a Blue Beanie and a Blue Neketai (neck-scarf). 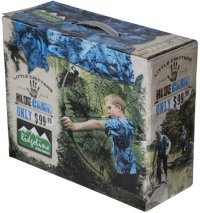 The blue not only looks awesome, but also adds the safety factor for kids that are out on the hunt. Blue camo allows them to contrast with their environment… and therefore be seen by you and other hunters. 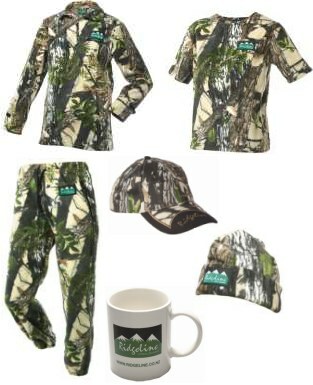 Made from Ridgeline's comfy Ridgeline Southern Star 200 Fleece, your little munchkins will keep warm and look sharp in these camo numbers. Ridgeline's new take on the critters onesie of the past, this new hyper style comes with a black hood lining and cuffs, and includes the Ridgeline heritage logo on the chest. 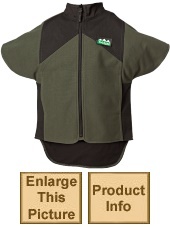 This jacket is the bomb for kids….hard wearing, durable, rugged and affordable. 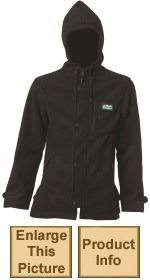 Not only will you keep warm, but this Cub Jacket will keep you dry and protected from the elements. Brilliant for out on the farm, in the bush, or even for wearing down to the bus stop at the end of the drive on those cold frosty mornings. There is one rule to taking a kid out hunting; they will want to look as good as you and why not? 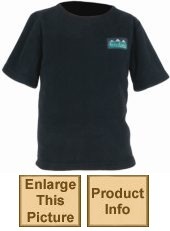 Going out with an experienced hunter is a real highlight in any kid's life and we have found our range of young person's clothing to be a runaway success. Our Spiker Jacket is waterproof, breathable and features a fixed hood and roomy bellows pockets that will make a hunter out of your young friend before he even starts. 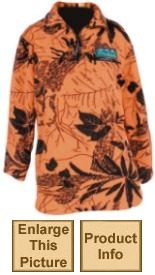 You will be the coolest hunter in the bush wearing this little beauty. The Bomber Vest is a sweet looking garment that not only offers you protection from the cold, but also from the mud and guts that goes with a successful hunt. With hard wearing canvas panels on the shoulders, outside collar, side and tail of the vest, it will take any hammering that the busiest of kids can give it. 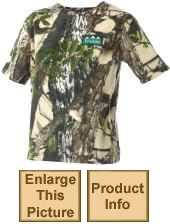 You will be the coolest hunter in the bush wearing this little beauty. The Bomber Vest is a sweet looking garment that not only offers you protection from the cold, but also from the mud and guts that goes with a successful hunt. Generously cut from soft, durable 280 GSM fleece, our Nippers Jacket is designed for the ultimate in comfort and warmth. Your little hunter will be snug as a bug in a rug. On the hunt or at play, our short sleeved tee is perfect for little hunters in any climate. 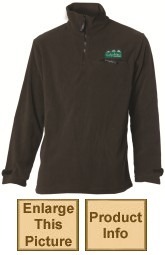 This rugged shirt is great as a base layer for cold conditions or on its own when the going gets tough. Fancy yourself as a bit of a pig hunter? Well this is the must have tee for you. 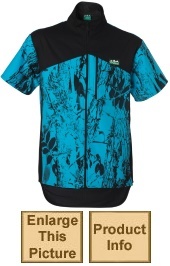 Look the part out in the bush while you pit your skills against those challenging porkers. 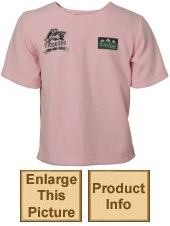 Not a bad little option to wear to school to show your ates you are the bomb when it comes to pig hunting. How to make your little one cuter? 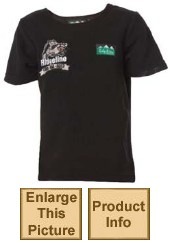 Pop them into this great little fleece tee that sports the ever popular Ridgeline pig hunt logo. The snug, warm fleece is a brilliant winter garment for that little tot in your life and you will get comment after comment from admirers when they are wrapped up in this great looking number. Our Tussock Trousers are made from super soft 280 GSM Southernstar fleece. These trousers are machine-washable and extremely durable. 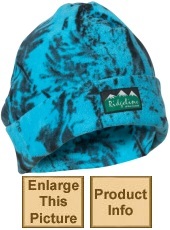 Keep the kids heads warm! 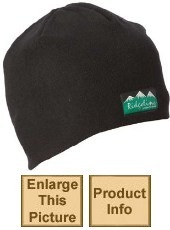 Double layer beanies made of 200 GSM lightweight anti-pill Southernstar micro fleece, to keep your head as warm as is can be, without weighing you down.